Once again, it’s time for you to start assembling your squads for the UK Clubs Championship! This unique one-day event pits club teams of five players against each other in groups, similar to the World Cup, with the top teams in each group qualifying for the main knockout phase, and all other teams in a consolation knockout – guaranteeing at least five games for everyone. A quick update about the Blackpool Imperial Cup event in June: All 128 pre registered players should have received an email in the last few days detailing latest information and payment instruction. There is a deadline for payment and we have a growing waiting list. If you have not received the email then let us know asap. Our website http://blackpoolimperialcup.weebly.com/ will be updated on a regular basis and you will be able to check your status in regards to payment and hotel booking. The hotel has been fully booked by us the last few years so it is important to not leave it too late. Many of you know Guy Haslam from Bone Club boards, who we have a great relationship with. As well as providing the board for one of our side events this year Guy is running a beginners’ event on the Saturday. He is donating a board to the winner so if you know of anyone who would like to be involved in this the details are here on the Bone Club website. The format is simple and flexible and reg/entry are free. Because the hotel and people of Blackpool have been so welcoming over the years we have decided to choose a local charity, Street Life, to support. If you have any questions you can post here for the benefit of everyone. Nominate a player for free UKBGF membership! Backgammon in the UK has come a long way in the last few years. New clubs are springing up regularly in all parts of the country and there are many more tournaments for players to choose from. It is widely acknowledged that the UKBGF has played an important part in this development and you can read about our evolution and current activities here. A full house of 32 players braved the winter weather to turn out for the very first ‘Backgammon at the Grand’ in Scarborough. A number of matches were recorded and you can find them on out TwitchTV channel. A new sub-committee of the UKBGF Board has been formed. It has the brief of dealing with all aspects of the UKBGF Tour. Currently the Tour Sub-Committee comprises of three members, Steve Bibby, Kevin Jones and Roger Porter. 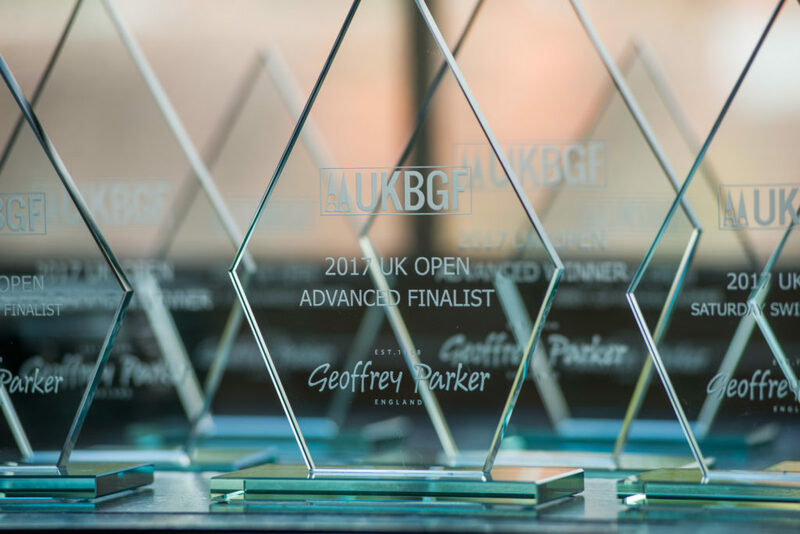 If any UKBGF members have any issues, suggestions or criticisms relating to Tour tournaments, then we encourage you to raise these directly with the sub-committee at roger@ukbgf.com.